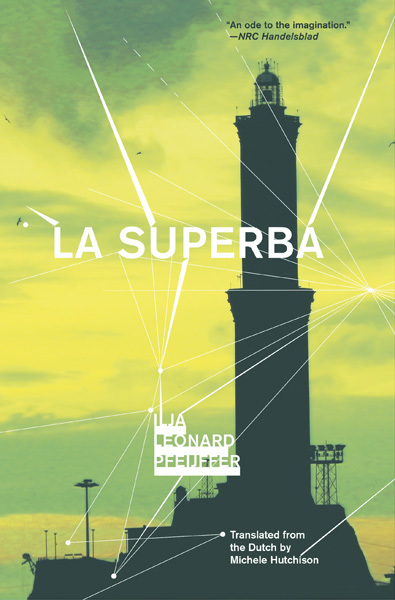 That passage is from LA SUPERBA, a new novel by Ilja Leonard Pfeijffer, a Dutch writer who has lived in Genoa for the past seven years. Pfeijffers knowledge of the city is encyclopedic; he seems to have walked every one of its labyrinthian streets and alleys, visited all of its neighborhoods, bars and trattorias. The action in LA SUPERBA is episodic and picaresque. Black comedy abounds, commencing when Pfeijffer (a famous poet in his own country who has opted to live anonymously in Genoa) finds a sawn-off womans leg in a garbage bin. He takes the leg home (for what he believes are valid reasons) and freezes it. Soon after that, he falls in love with The Most Beautiful Woman in Genoa (a waitress), gets involved in a shady scheme to buy a theater and direct a play about emigration. He also befriends a Moroccan beggar who, although he has a temporary residence permit, is unable to find legal work in Genoa and must scrounge for a living along with the thousands of other Moroccans and Senegalese who have washed up here.